1000 N Us Highway 1 #el502 Jupiter, Fl 33477 has been sold. 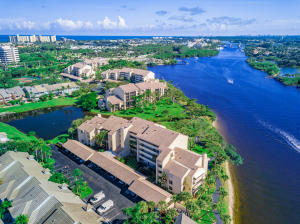 SWEEPING VIEWS OF THE INTRACOASTAL WATERWAY FROM THIS TOP FLOOR CONDO AT JUPITER HARBOUR. SOARING CEILINGS AND LIGHT FILL YOUR SENSES. EVERY ROOM HAS SLIDERS TO THE SCREENED PATIO AND THE MAGNIFICENT VIEW. TILE THROUGHOUT. GALLEY KITCHEN WITH GRANITE TOPPED BREAKFAST BAR. SPLIT FLOOR PLAN. MASTER SUITE HAS HIS AND HERS CLOSETS .MASTER BATH INCLUDES LARGE TUB AND NEW SHOWER. DINING AREA AND MASTER BEDROOM HAVE PLANTATION SHUTTERS AS WELL AS IMPACT WINDOWS.3 STORAGE CLOSETS. SPRINKLER SYSTEM. AMENITIES INCLUDE COMMUNITY POOL, TENNIS COURTS AND MARINA. 24 HOUR MANNED GATE . 1 MILE TO BEACH. WATERFRONT RESTAURANTS NEARBY AS WELL AS HARBOURSIDE PLACE WITH HOTEL, RESTAURANTS, AND SHOPS. 1000 N Us Highway 1 #el502 located in Jupiter, FL is a condo with 2 bedrooms, 2 full baths and 0 half baths.The Condo at 1000 N Us Highway 1 #el502 was built in 1982 in Jupiter Harbour and offers a 0 car garage. This Jupiter Harbour Condo offers pool, boating, tennis, elevator, sidewalk, manager on site. 1000 N Us Highway 1 #el502 Jupiter, Fl is currently listed for $445,000 under the MLS# RX-10468328. This Condo has been put on the Jupiter MLS system and currently has a status of SLD.